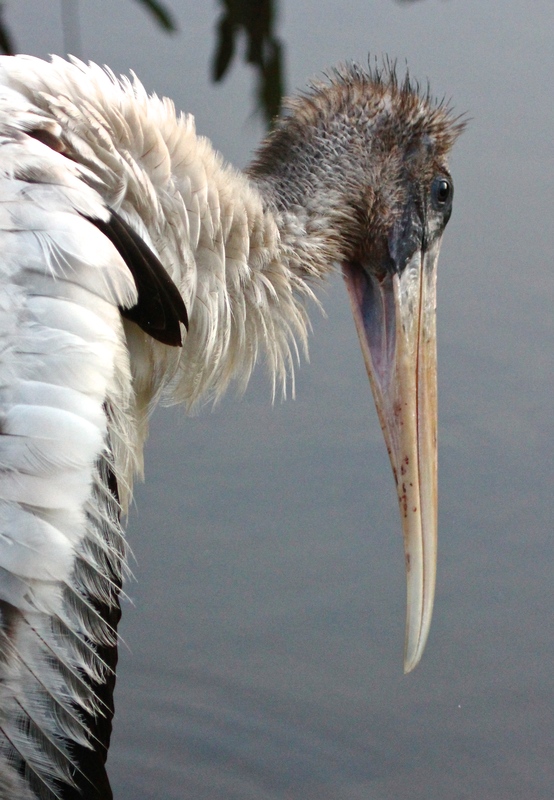 When I first started noticing wading wetland birds on my trips to Florida about a decade ago, one particularly large, somewhat awkward-looking bird really caught my eye – the wonderful, one-of-a-kind Wood Stork! 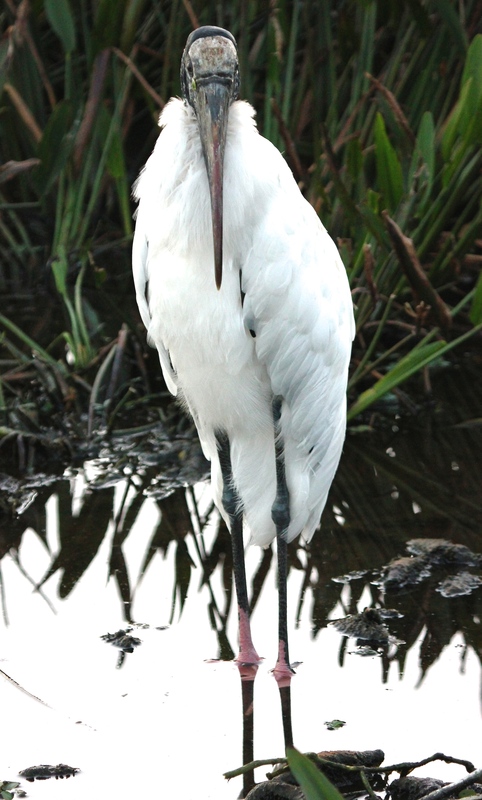 Wood Storks are the only stork native to North America, and they are found in the marshes, lakes, swamps and other wetlands of Florida. Click on this link: “Endangered” to hear a program on NPR about a year ago on the current status of the Wood Stork. And, for even more intriguing information about these special creatures, listen to this: Wood Storks and Climate Change, a 2-minute audio piece posted on Bird Note not long ago. 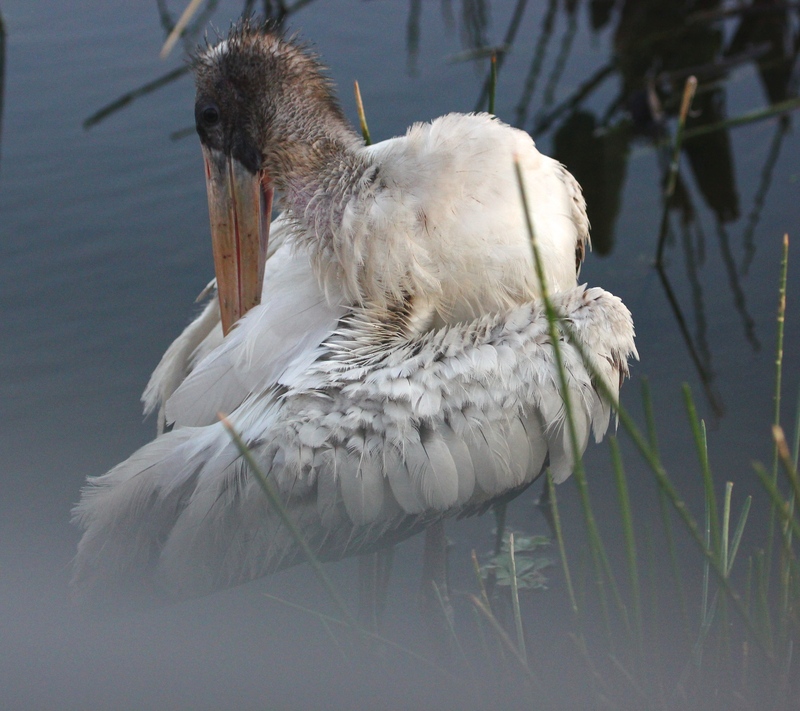 This entry was posted in Birds, Marsh/Wetlands and tagged Wood Stork. Bookmark the permalink. We need to learn to share our world with wildlife! Agreed, Sonja…They share it so graciously with us every day~! Thanks for sharing this fascinating bird, it is sad to see so many endangered species due to climate change but more so man making changes for his own developments. The wetland and shore bird habitats throughout the world are diminishing due to development more than drought, in Australia we are loosing thousands of migratory shorebirds each year because of what is happening in the Asian countries with them filling in their wetlands and building on their coastlines. I am amazed at how many critically endangered species there are in our country alone. I was also surprised when looking through a book given me as a gift on parrots, to see how many extinct birds there are, which we will never ever see. Yes. The more I read and learn about the impact of human development on birds’ (and other creatures’) very survival, the more committed I am to conservation organizations and efforts. We’re so lucky to have many sources of information available at our fingertips – thanks, Jet! I agree! I love the bill. And it’s spiky little head and strong body! The juvenile Wood Stork in several of these pictures was so close to the boardwalk that I was able to get a really CLOSE-UP view of the underside of his bill for the first time. Glad you like him, too, Yaffa – such an amazing creature~! Thanks for your visit, Pat! Tremendous shots of one of my favorite birds! 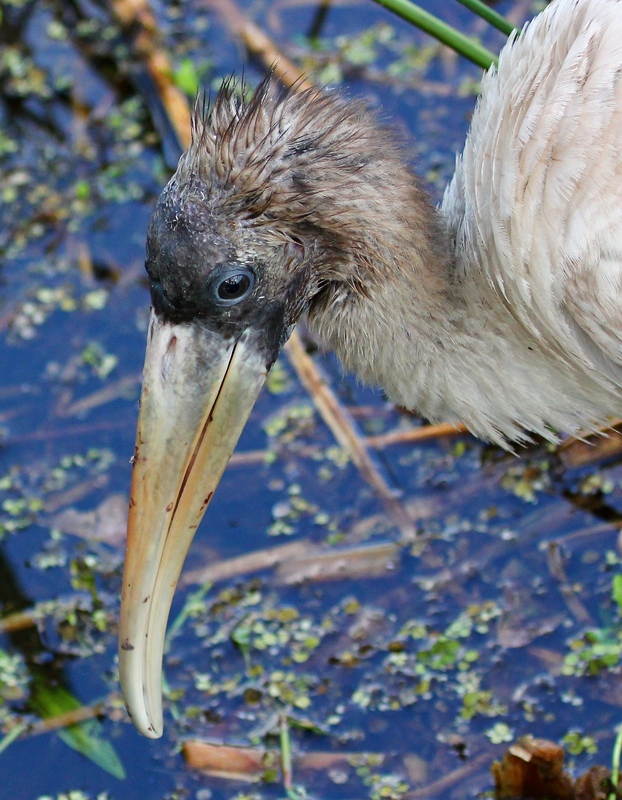 Did you know that wood storks have a sort of relationship with alligators? They will often nest above where alligators live because the gators will take care of predators such as raccoons and snakes that would take wood stork eggs or babies. But it’s not good if a stork baby falls out of it’s nest. Yikes!